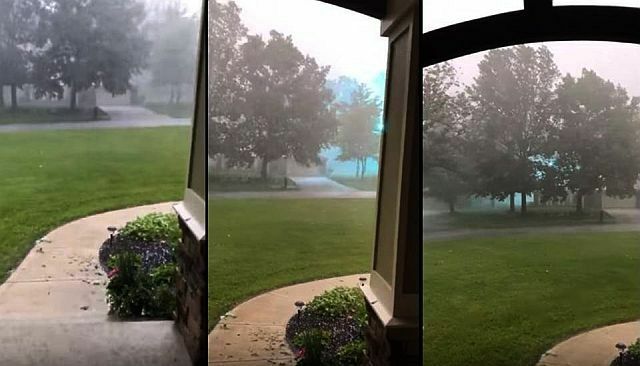 The video was captured by a man named Chip Beale, who was filming the treacherous weather from his home in Dayton on June 5, 2017. In the short clip, a loud buzzing sound can be heard and, though the trees in Beale’s yard, a blue-ish glow travels horizontally through the air. Some viewers have suggested that the odd energy could be a weather phenomenon, perhaps even ball lightning, while skeptical observers argue that the ‘anomaly’ is simply the result of power lines arcing. By Jeffery Pritchett.